Kentucky Mayors Greg Fischer of Louisville and Jim Gray of Lexington launched the Bluegrass Economic Advancement Movement (BEAM) in 2011. This initiative brings together the 22 counties that include and surround these cities through a strategic partnership, implementing a regional economic development approach for the state’s two largest metropolitan areas. In 2012, the Mayors followed BEAM with the “Build it Locally/Sell it Globally” initiative to increase export successes by 50 percent in five years. This focus on exporting is a key aspect of BEAM’s broader goal to promote growth among the region’s businesses. BEAM is unique among regional export promotion programs in that it is a collaborative effort between two leaders. The mayors’ approach exemplifies their belief that sharing economic growth rather than competing for it, is the best way to build the future for the region. Research shows that exporting firms – whether in manufacturing or services – grow faster and can afford to pay their workers better than non-exporting firms. By promoting exports, Mayors Fischer and Gray are taking a key step to support better jobs and stronger growth in the region. Kentucky is already a leader among states in exporting. It is one of 16 states to have broken its own merchandise export record in 2013, having exported more than $25 billion in goods during the year. ITA: What role do exports play in the economies of Louisville and Lexington, and in Kentucky overall? 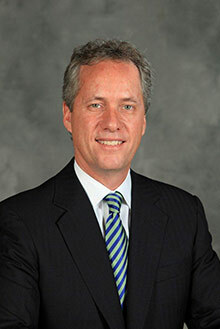 Mayor Fischer: Exports play a critical role in our regional and state economy. Exports throughout our state have surged to all-time highs. We have large companies that are robust exporters such as Ford, Lexmark, and Yum! Brands that sell into markets throughout the world. However, 90 percent of Kentucky’s exporters are small to mid-sized firms. In total, the BEAM region produced $14.8 billion in exports in 2012, which is a five percent increase from 2011. Our regional exports perform strongly as a percentage of Gross Metropolitan Product (GMP), accounting for 16 percent of GMP in 2012. We’re ahead of the national average, as U.S. exports in 2012 accounted for 13 percent of national Gross Domestic Product. We’re very pleased with our progress and expect more great results ahead. ITA: One goal of the Bluegrass Economic Advancement Movement is to increase export successes by 50 percent in five years, measured by the number of companies that expand to new foreign markets or begin selling out of the U.S for the first time. What effects will that kind of expansion have in your cities? Mayor Gray: Kentucky is primarily made up of small businesses. Many of these companies could be expanding their sales internationally. Two-thirds of Kentucky’s companies have fewer than 20 employees, many of which could be exporting but aren’t or could be exporting to more markets. Our “Build it Locally/Sell it Globally” export initiative focuses primarily on small business export expansion. Through this initiative a team has worked with trade partners to conduct effective outreach to a target list of smaller companies, selected for exportability, headquartered location in Kentucky and size. We want these small businesses to know about the locally available trade resources to assist their export needs. Our team has been able to connect companies to trade education resources, market research opportunities, and information about trade missions and trade shows. ITA: Export expansion has been a major priority under the National Export Initiative. How do initiatives like BEAM translate into national export expansion and improvement in the overall economy? Mayor Fischer: The National Export Initiative was an inspiration to stakeholders around the country. It set a big goal and inspired many of us to step up our game. New research has revealed compelling evidence about exports at the metro level. We all know that metro governments are positioned in the new economy to play a pivotal role in fostering innovation, economic development and driving sustainable practices. Metro areas dominate exports at the state level, generating more than 90 percent of exports in 11 states. The BEAM region counts for 53% of the state’s total exports. Here in Kentucky, our Governor organized early following the launch of the NEI to form the Kentucky Export Initiative (KEI). The KEI has brought together the state’s leading trade organizations to streamline support for companies throughout the state. Once the Metropolitan Export Initiative (MEI) was formed, Mayor Gray and I worked to get added to the cohort of cities working with the Brookings Institution. The MEI afforded us new data tools and a guide on how to develop an export plan suited to our regional goals and pursuits. All of these initiatives have helped our region and state come together to effectively address problems that have affected businesses. As organizations have worked together to make their resources maximally effective, businesses have received streamlined and accessible support. ITA: How are other officials throughout the state helping? State officials, local leaders, etc? 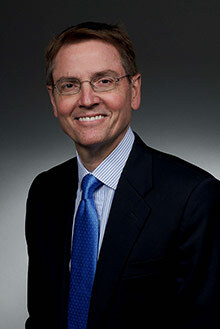 Mayor Gray: By partnering with our local U.S. Commercial Service offices in Louisville and Lexington, the World Trade Center Kentucky, our state and regional chambers, along with the Kentucky Cabinet for Economic Development and the Kentucky Small Business Development Centers, we have received great support from officials and many other organizations throughout Kentucky. Staff for the “Build it Locally/Sell it Globally” initiative have worked with trade partners to host export educational seminars for chamber and economic development professionals. Outreach has been conducted to businesses around the BEAM region, an effort supported by partners at the local, state and federal levels. This is a collaborative effort and we feel the importance of working with all involved every day. ITA: What do you say to Kentucky business leaders who aren’t currently exporting? Mayor Fischer: I’ve said it before, and I’ll say it again: “If you’re a small business that isn’t exporting but your competitors are, they are going to eat your lunch.” We operate in a global economy. Exporting is the expectation. In our region, while we’re known for specializations in bourbon and equine, we also export mattresses, security locks, dental equipment, disco balls and ceiling fans; and more than a few cars and home appliances. About 95 percent of the world’s consumers live outside the U.S. and more than 80 percent of growth is happening outside Europe or North America. If your company wants to be in business ten, twenty years from now, you’re best positioned by having sales in foreign markets. The world is waiting for you. ITA: Mayors around the country are working hard to support local and regional economies. What’s your advice to them? Mayor Gray: Invest in small business growth opportunities. Focus on growing what you have in your region and expanding opportunities through intentional and strategic, cross functionally aligned initiatives. Look at models for success. Learn from Mayors and other elected officials who are doing things that work around the country. Spend time with national thought leaders. And set big but realistic goals that are measurable and inclusive.